Last time Samsung tried to rush a phone launch ahead of the iPhone was the Note 7. That smartphone was Samsung’s worst ever. Battery issues caused units to spontaneously explode. It was blamed for destroying cars and was eventually recalled worldwide. The Galaxy Note 9 event will be held on August 9 at the Barclays Center in Brooklyn, New York. Apple usually hosts its iPhone events in September and is expected to do so again this year. Rumors suggest the big screen smartphone will have a similar design to the Note 8. It may take a few design cues from the Galaxy S9 with a fingerprint sensor underneath the camera. Other rumors claimed the fingerprint reader will be built into the display. 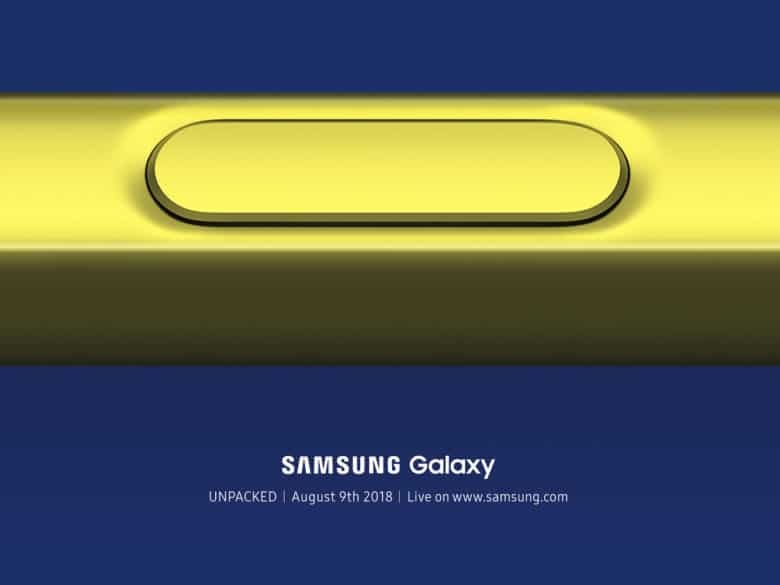 Based on the invite it looks like the Note 9 will come in a few color options, or at least the S Pen it comes with will. We’ll see whether it can truly rival Apple’s upcoming lineup of three new iPhones this year when it launches later this summer.